The Theory – Why use Composites in Machines? These are a few considerations highlighted to help the when looking at the design of a part from first principles in Carbon. Many design engineers, trained in traditional materials, will not appreciate the approach to composite design. Smooth flowing Natural Shapes are more conducive to structural integrity in Composites. Fibres prefer to flow around corners and do not like sharp corners. Avoid square edge holes. Limit stepped shapes, indents, channels, inspection windows. For optimum cost and weight / stiffness ratio Composite Design is generally bigger than steel. Symmetry is important when taking differential expansion into account. 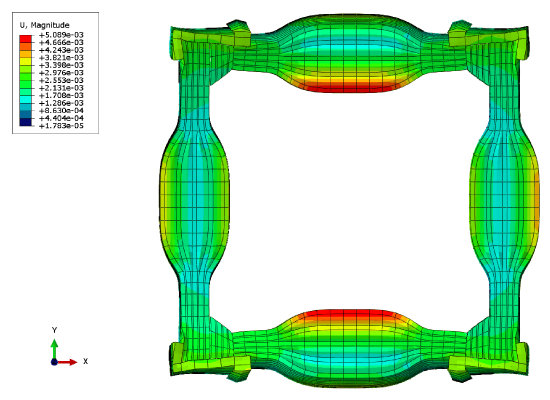 With a composite solution for a machine beam it is possible to achieve a better thermal stability, but the thermal deformation is much more complex than with a traditional isotropic material. 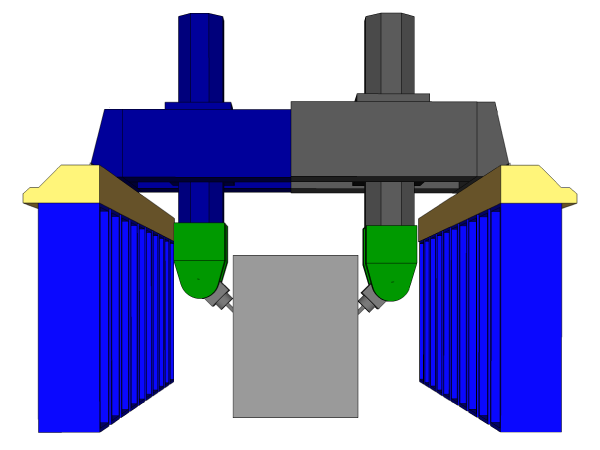 A machine beam made from steel, cast iron, or aluminium will expand equally in all directions. Composites are not Isotropic and have both structural and thermal properties depending on the direction of the fibres in each layer and on each face of a component. Even if the cross section of a beam is symmetric, its thermal behaviour will be uneven. 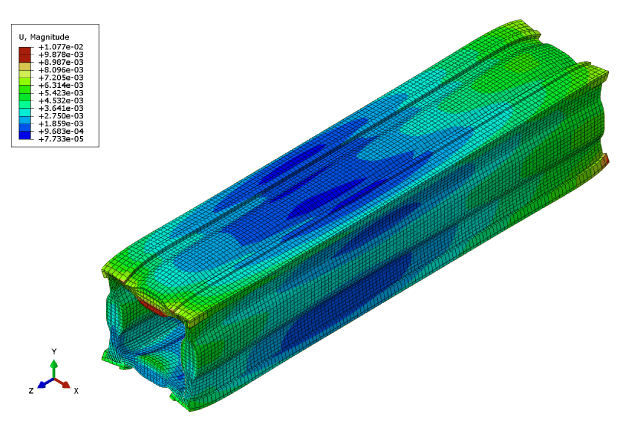 Adding only thin plates of steel to the composite will have a significant influence on the thermal deformations. In 3 dimensions all the thermal deformation activity has to be balanced out at the ends of a beam and this will cause a local curling effect at the end of a section. Thermal behaviour in composite materials needs to be fully understood and modelled using Finite Element techniques in order to predict the precision of the component both during manufacture and in everyday operation of the machine. Even though the thermal deformations of composites are much more complex to understand and predict, the final result is less expansion than the isotropic metal equivalents. 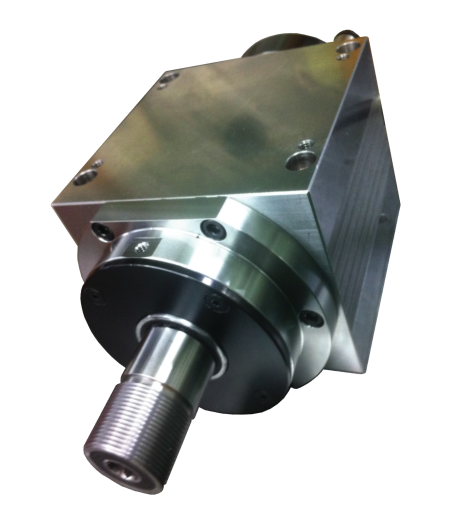 Thermal expansion of the various elements of the Spindle Motor will have an effect on machining accuracy. It follows, then, that for optimum accuracy tool-tip thermal displacement ( Δ ) should be minimized. Carbon Graphite Composite offers the opportunity for negative thermal expansion alongside good strength and stiffness properties. Therefore the calculation needs to be done to balance the thermal expansion of shaft and tubus , and possibly holder and tool shank, in order to achieve zero Δ. If we are to balance one thermal expansion load against another, then the load has to go through the bearings. This reaction will need to be within the capability of the bearings. The loads created by thermal expansion that are balanced by loads in another part will be dependent on the effective E-Modulus and the thermal expansion coefficient. The cost of Carbon Fibre is often raised as a reason for it not to be considered. This is a very false assumption. Carbon Fibre is expensive and consequently can only be justified by the financial benefits it can bring. This has been done in many cases. Consider the simple example here. A beam designed in different materials to have the same stiffness to do the same task. The material price of Carbon Fibre seems unbelievably expensive, but by the time a beam of the same stiffness is built it is less than 4 x steel. Start to move the beam and the price of motors, bearings and all systems could be hugely less and likewise the running cost. 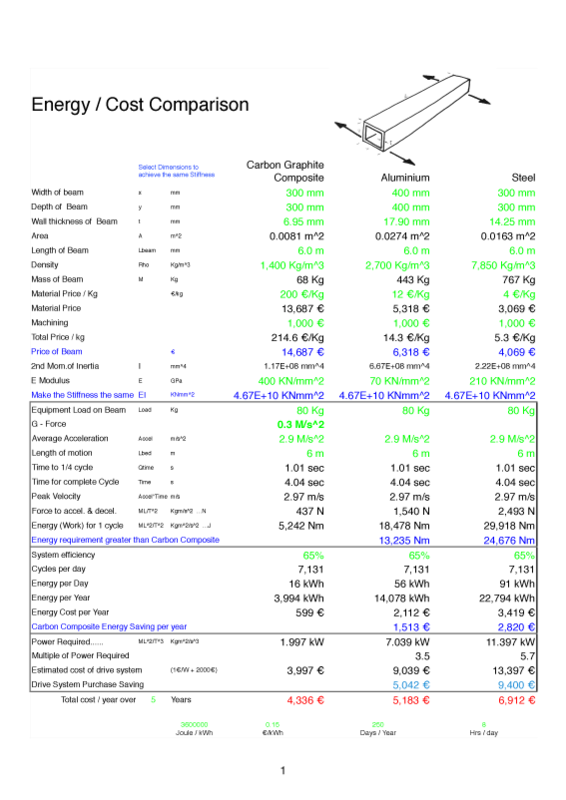 Add up the cost over a few years and the price of Carbon Fibre is easily justified. This does not take into account the added benefit of better damping and so higher quality. Quality and higher production rates due to better damping are harder to predict, but are definitely achievable. Until there is a significant body of data, experimental methods will be the best way forward.